This video covers the SolidWorks Indent Feature. The use of this feature as well as the options that are available with this feature are shown. 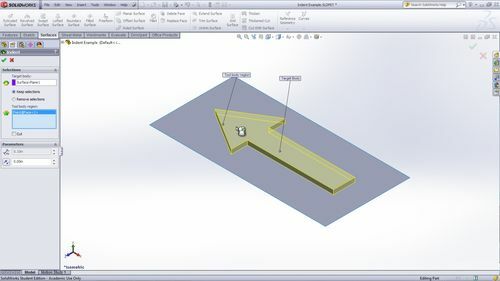 This feature is useful when creating packaging for products as well as when creating stamped products or molds. I hope you find this video helpful and try using this feature in your next model.